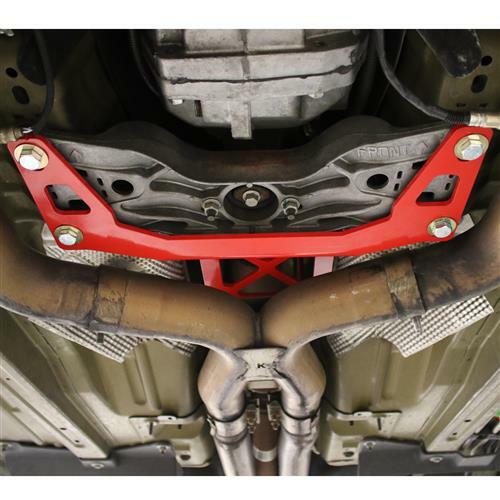 Protect your 2007-2014 Shelby GT500 Mustang by adding this red BMR driveshaft safety loop! 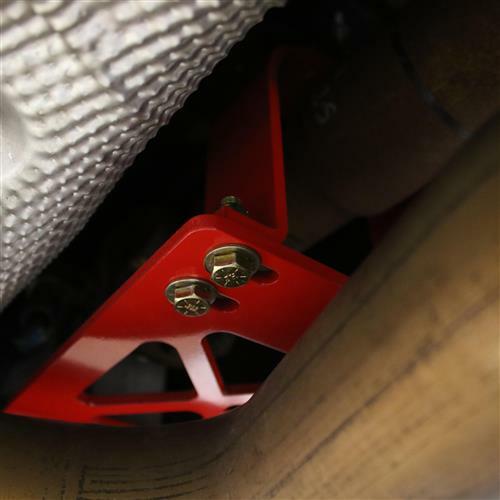 Protect the floorboard in your 2007-2014 Mustang GT500 with this BMR driveshaft safety loop! 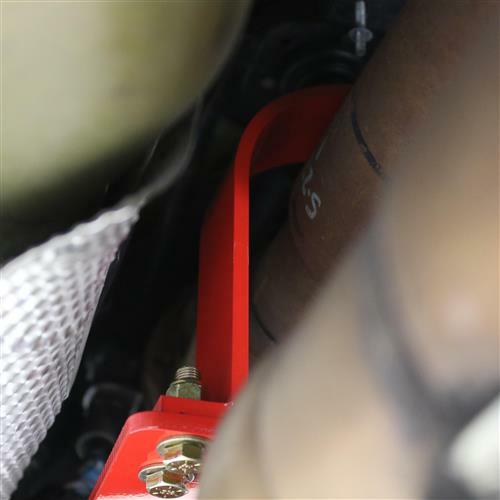 BMR driveshaft loops are designed to secure your driveshaft in place, in the event of a failure! This protects the driveshaft from tearing through the floor and causing more damage but, most importantly protecting the driver. Driveshaft safety loops are a must if you are on the track or street! This is an NHRA requirement if your car runs quicker than an 11.49 quarter mile! BMR driveshaft safety loops are of the highest quality 1/4" laser cut steel. Using OE mounting holes to guarantee an exact fit, bolting on will be quick and easy! 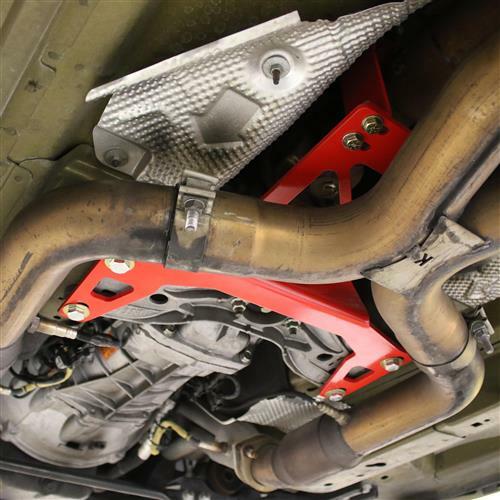 BMR utilizes a red powder coat finish that provides corrosion protection that lasts! BMR includes all installation hardware for a quick and easy installation. BMR fabrication is one of the top manufactures of Mustang suspension components that both improve performance and increase traction. 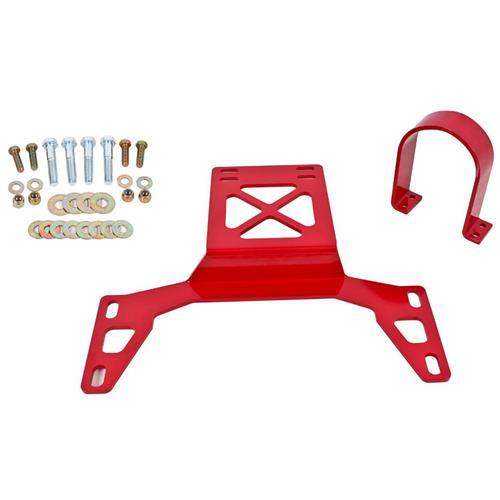 With a full line of control arms, panhard bars, shock tower braces, k-members, anti-roll bar kits, and drive shaft safety loops, you can have your muscle car handling better than ever. All BMR components are engineered to fit with precision, hold up to the extreme demands of racing, and give you the edge over your competition!